It’s getting to be that time of year when we start thinking about spring cleaning. But you don’t have to limit this annual event to dusting and delivering bags of cloths to your local Salvation Army. Spring cleaning applies to your computer network as well. Spring is a perfect time to revisit your plans for those critical IT systems you use to keep your business data safe and secure. When it comes to your technology and IT solutions, it’s vital that you know the current state of your network and technology infrastructure. Below you can take a look at just a few of our previous accomplishments in cleaning up networks and consolidating server racks. But if you’re not ready to deep dive into a complete overhaul, we have a perfect product that will at least get a handle on the state of your network and what needs to be done to it. It’s call the Advantage IT Discovery, and the best part? It’s under $100! So check out these blogs and, at the very least, download the sample Risk Report PDF to get started. Or if you’re ready to pull the trigger on a full, comprehensive Spring Cleaning, visit our Cabling and Network Infrastructure page and request a Network Evaluation. Advantage Technology is all about bringing cleanliness and order to your network and IT infrastructure. 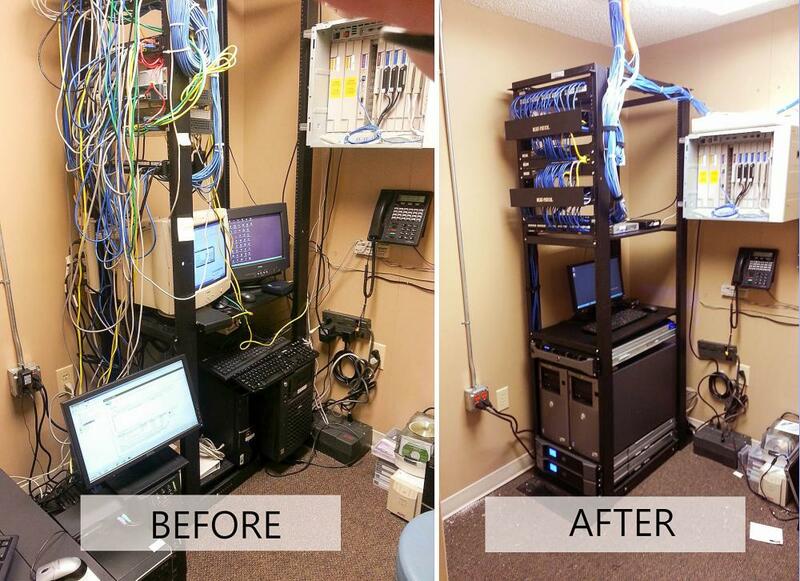 And while the most striking aspect of Advantage Technology’s clean approach to networks is represented in the incredible before and after pictures on this page, our services go far beyond sprucing up wires. Last February, Advantage Technology upgraded the datacenter at Kay Casto and Chaney law firm. We replaced several old servers with more powerful, modern ones, which gave the datacenter the ability to achieve full potential. 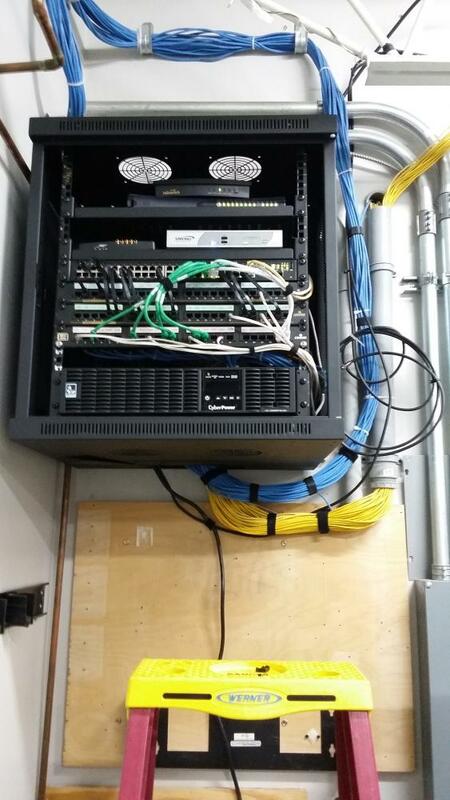 We upgraded the network using more robust switches, which provided more throughputs for the system. Just last month, I wrote about how Advantage Technology assisted a massive medical center in Huntington with a four stage IT overhaul plan that centered around upgrading the network and installing a ShoreTel phone system. This included over 600 phones, routing to mobile phones, a comprehensive call center, call reporting and management of after-hours calls. “I would call ShoreTel a truly modern phone system,” said Mr. Simpkins. 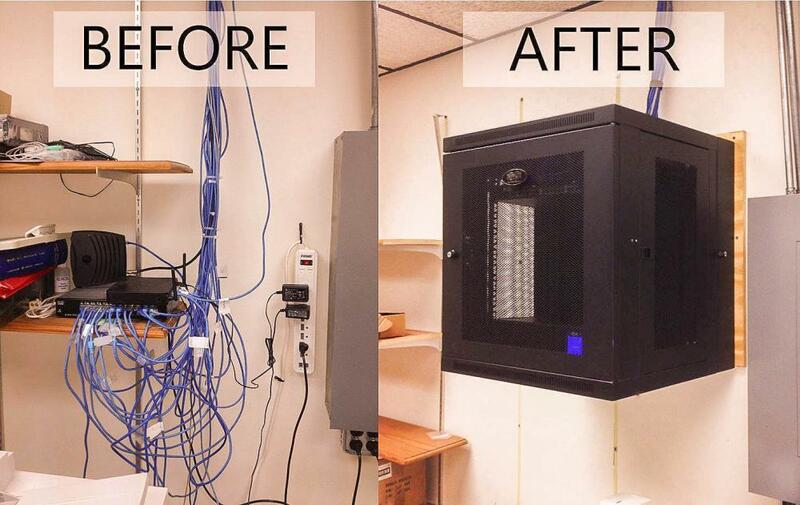 One of the things we love is showing off our network cleanups. 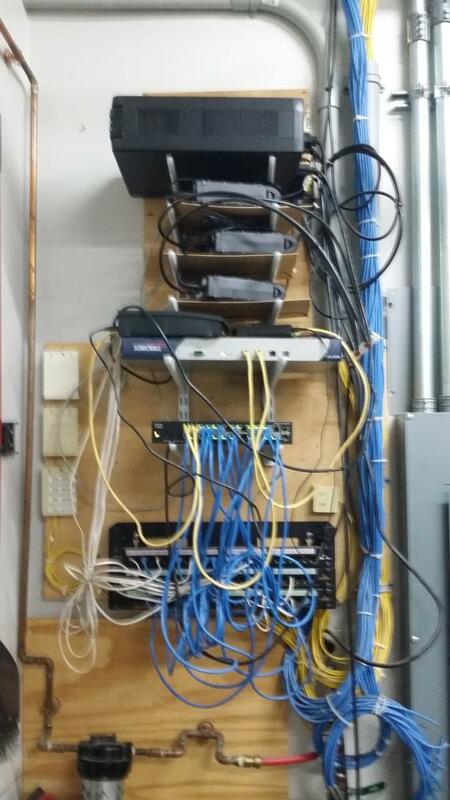 We can turn a spaghetti cluster of cables into a tidy network to provide better functionality. At Holl’s Swiss Chocolate, we turned a messy rack into a functioning network that is easier to maintain with aesthetic value. Charleston law firm Elmore & Elmore will tell you that water damage comes at the most inconvenient times. And water damage is more common than you might think. The same thing happened to Girl Scout of Black Diamond Council along with numerous other local businesses. Advantage Technology can get your business back up and running in a quick fashion and work with you to deploy new equipment in the face of a disaster.